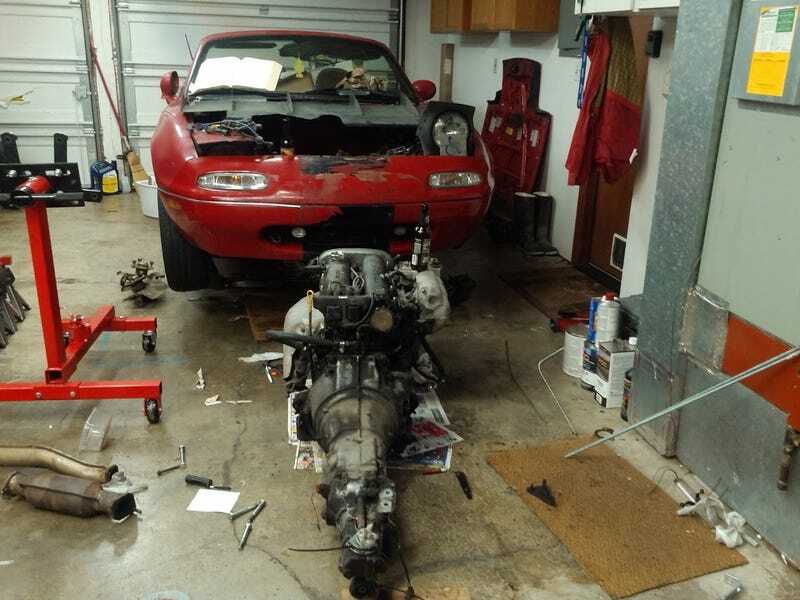 $200 Miata: Part 4, It lives again. Next up is to fill the transmission, attach driveshaft, exhaust, install radiator, and attach the clutch slave cylinder. That should get it to the point where it is drivable. After that I need to install a better rear subframe (looks like the previous owner of my car mounted a curb pretty hard). But first need to free the control arm and hub seized on the replacement subframe. Fun fact, did you know the Miata has built in beer holders? Now you do! Two perfectly beer sized holes in the rad support.